On completion of his two year training course in De La Salle College, Thomas Ashe was appointed assistant teacher in Minard Castle national school on 15 July 1907. He laid special emphasis on Irish language and history, music and song. Though demanding discipline from his pupils he held their respect and co-operation, and it is said that he never had to resort to the cane, which was part of the educational system of the time. He spent nine months teaching in Minard. In March 1908 he was appointed principle of Corduff national school near Lusk in north Co. Dublin. He began teaching there on 16Th March 1908 for a period of eight years up to 19Th April 1916, with one break. That was from February to September 1914 while he was in America on promotion work for the Gaelic League. Ashe taught a wide range of subjects in Corduff, something similar to the modern curriculum in national schools today. He took special interest in children who had any kind of a physical or mental disability or problem. Again he laid special emphasis on our native culture. His views on education were fairly radical and these often brought him into conflict with inspectors from the National Board of Education. 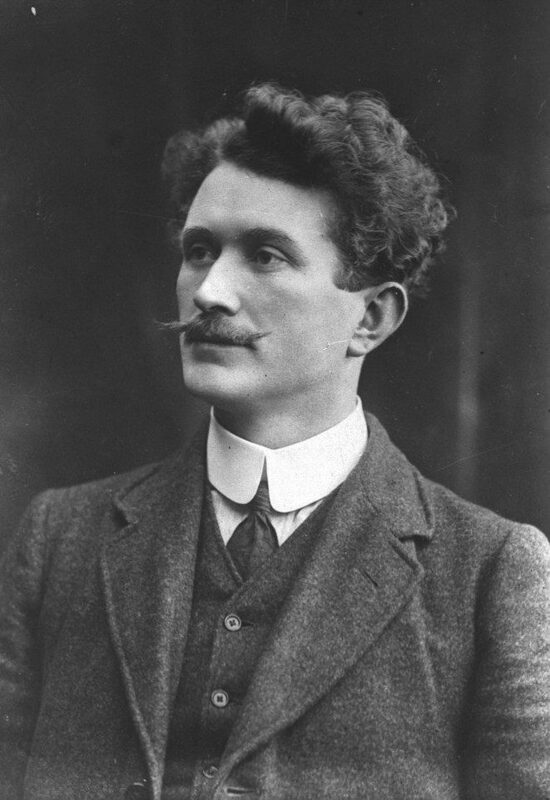 After his appointment to Corduff, Ashe joined the Dublin City branch of the INTO and remained a member of the branch during his lifetime. Fr.Hoey was Ashe’s manager in Corduff. He recognised his great ability as a teacher as did the assistant in Corduff N.S Mary Monks. Her final memory of Ashe was on the day of the Easter holidays 1916 when he plucked all the flowers in the school garden and handing them to her told her to place them on the alter in front of the Blessed Sacrament on the following day – Holy Thursday. Fr Hoey held him in high esteem that even after the death sentence and later life imprisonment the manager insisted on holding Ashe’s position vacant at Corduff. Eventually due to pressure from the Board Of Education, threatening to withdraw grant aid to the school, he appointed Eugene S. Byrne as Principle in Ashe’s place on 25Th August 1916. Then why shouldn’t you and I? Writen by Thomas Ashe in a childs Autograph.